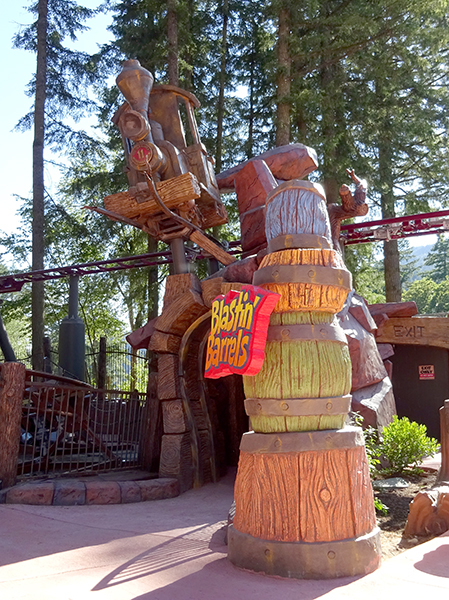 Cultus Lake Adventure Park finished! 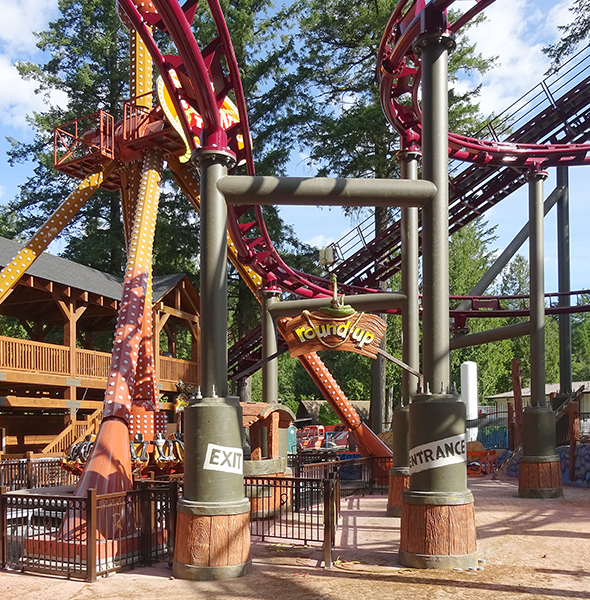 The Cultus Lake Adventure Park project is now wrapped up and operational. After so many months of work on the project it is great to see the park in operation. The signs look great in their intended setting! 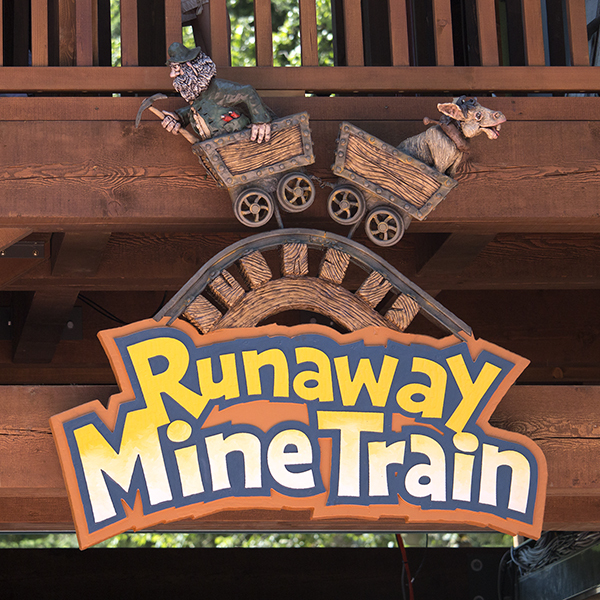 The rides in this section of the park are much more extreme and the theme work is a little more sparse. The big steel dominates the scene. This makes the sign work even more important. 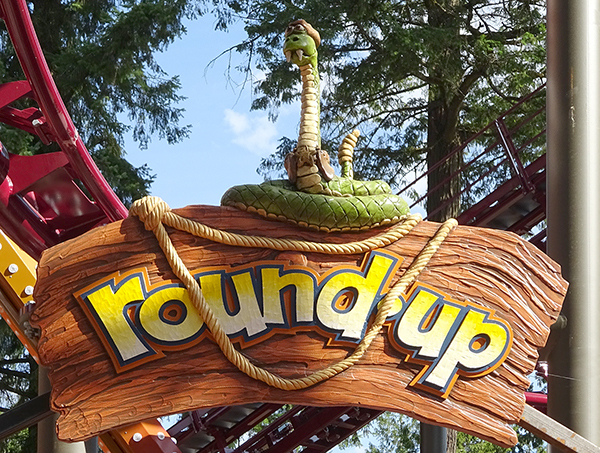 The sign for the roundup was mounted to the giant coaster framework. 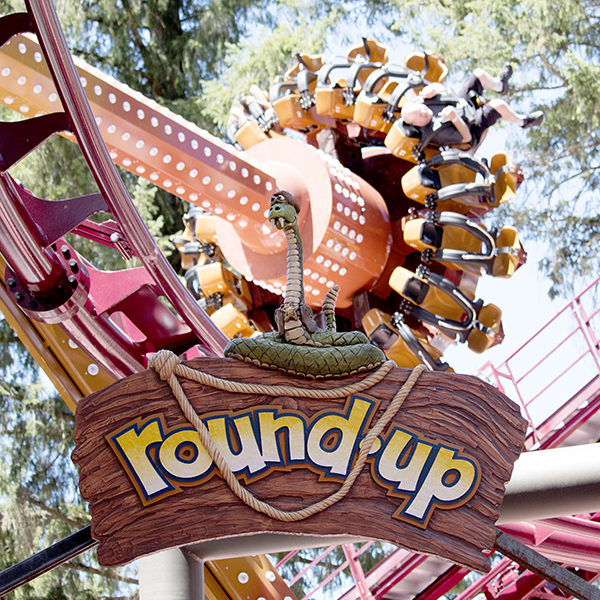 We took this shot yesterday as the Round-Up ride was in action. The expression on the snake suddenly is very fitting!